Explore our pre-owned Volkswagen models to find a reliable SUV in the Vienna area. 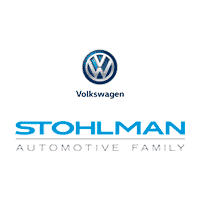 From the sporty Volkswagen Tiguan and Volkswagen Touareg to the spacious Volkswagen Atlas you can find what you are looking for at Stohlman Volkswagen. If you want to expand your search check out the latest new Volkswagen SUV models, or find a great model on a tight budget with our inventory of vehicles under $15K at Stohlman Volkswagen.